Elevate Trainer contains two independent anchor straps for attaching to a pull-up bar or other secure object above head. The anchor straps connect two adjustable straps to accommodate length changes needed. 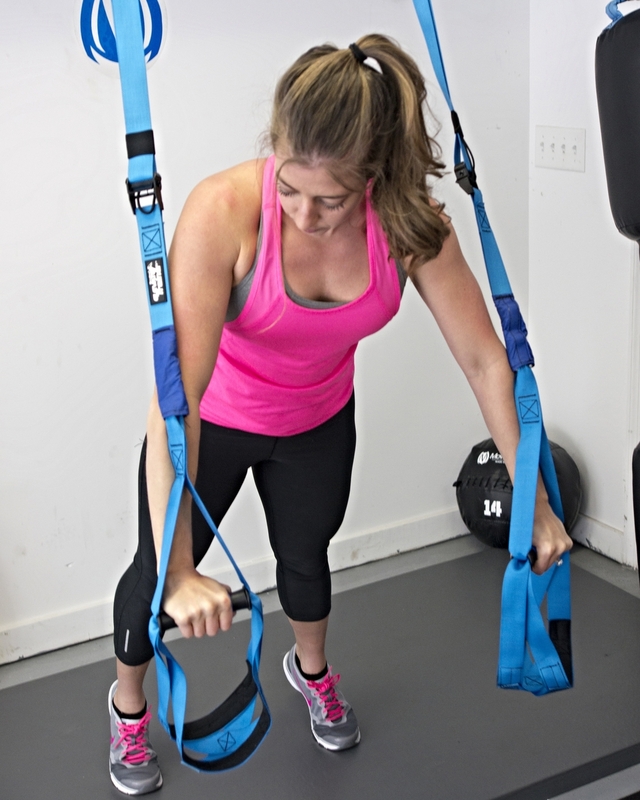 The two lower handle attachments offer a dual lower strap and cross webbing to create a wider cradle for holding feet and forearms when performing suspended training exercises. Get access to the Elevate Trainer Exercise Library with your purchase! Along with over 300 MoveStrong product exercise videos! A fixed length straight bar with full length foam grip is used to connect both ends to the Elevate Trainer adjustable straps. 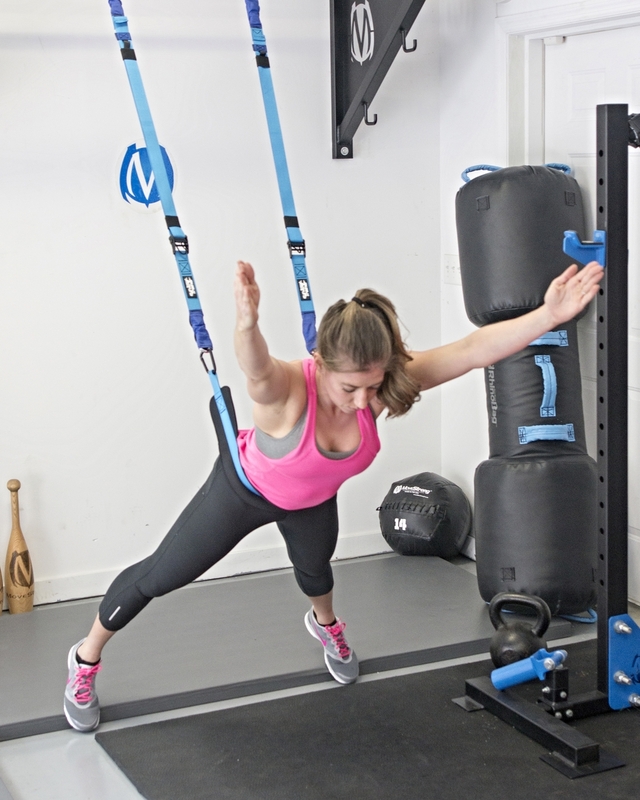 A great tool used to regress exercises needed for those who find suspended exercise more challenging. It also adds new dimension to using while fully elevated off the ground with feet on Stall Bars requiring even more control and stability to press and pull while elevated. May also be used with resistance bands and cable attachments for more functional fitness and strength training exercises. 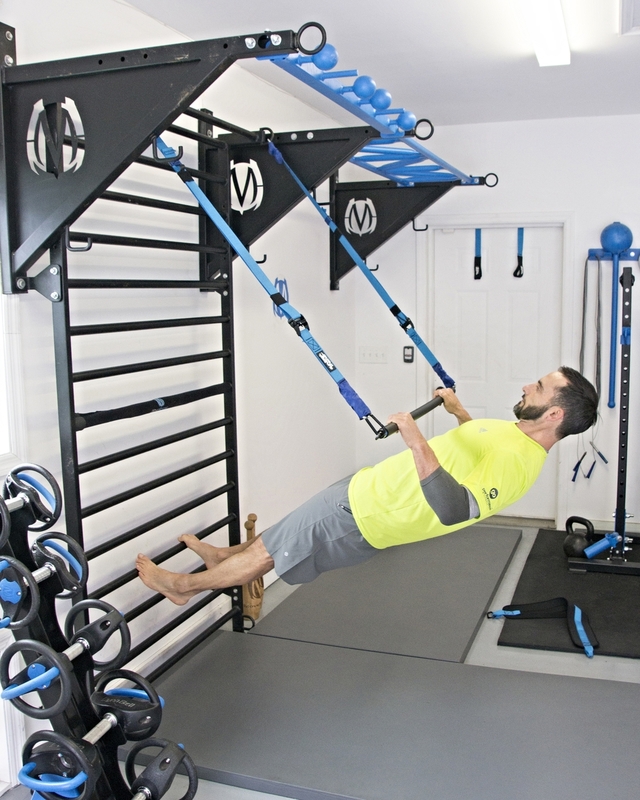 A belt designed for suspending the body in order to perform a variety of stretching, yoga, and strength training exercises. The neoprene material provides comfort on the waist or other body parts in contact with the belt based on the exercise performed. Ideal for use when elevating with Stall Bars to leverage yourself into position. If you are looking for use on a standard door in your home, the door anchor provides a secure anchor point when used correctly to attach the Elevate Trainer. 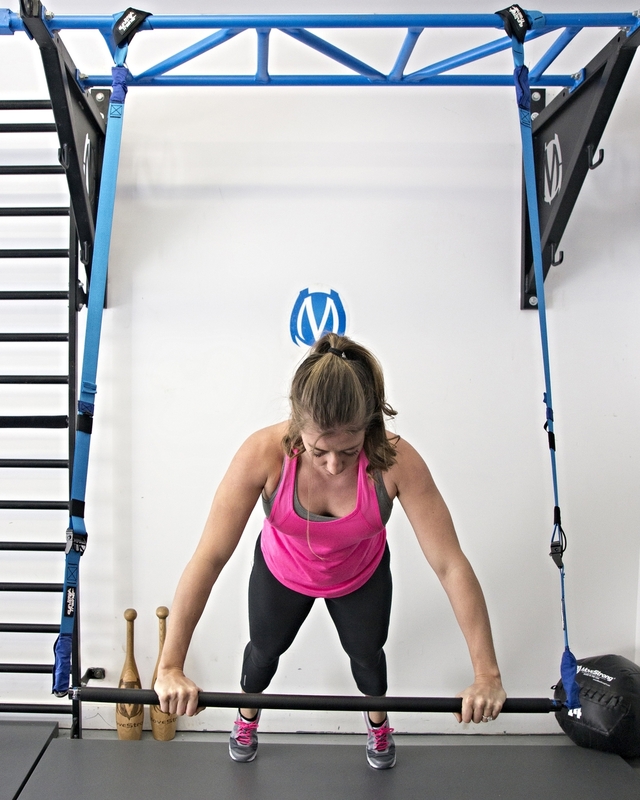 Use other MoveStrong Grip tools with the Elevate Trainer! The Cobra Grips are perfect to use on the Elevate Trainer to work grip strength in pulling exercises and others such as tricep extensions. Simple attached directly to the Elevate Trainer anchor straps using the carabineers on the Elevate Trainer adjustable straps. 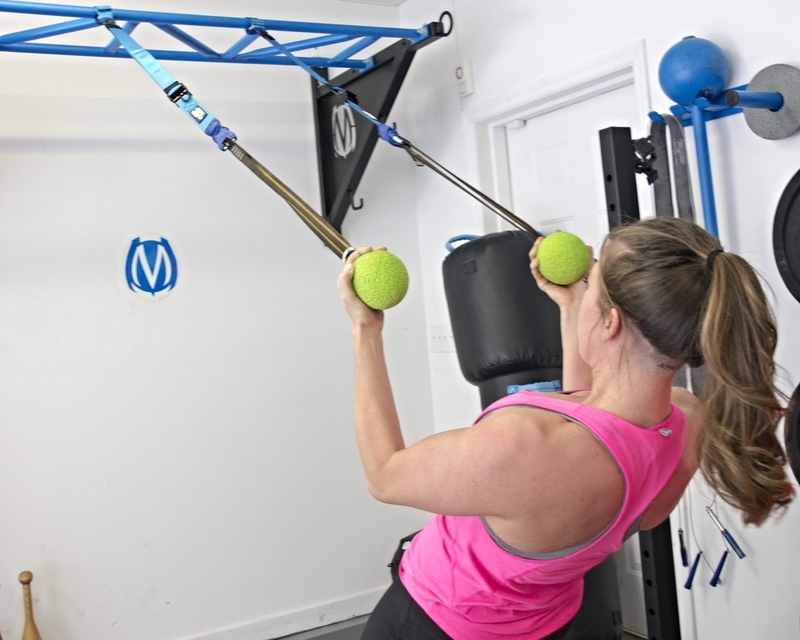 The Hanging Globes used on pull-up bars are also a great tool for grip strength training used with the Elevate Trainer. 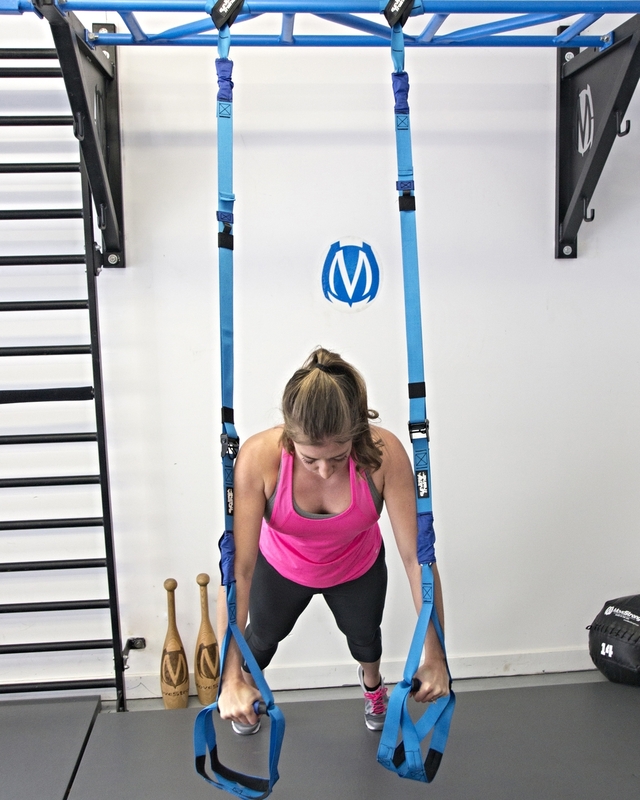 Elevate Belt can be used as a single belt attached between two adjustable straps or one belt attached to each strap for a variety of mobility and strength exercises. The belts allow for more comfort and scalability for users to perform strength and flexibility training while partially suspended to assist with controlling bodyweight. 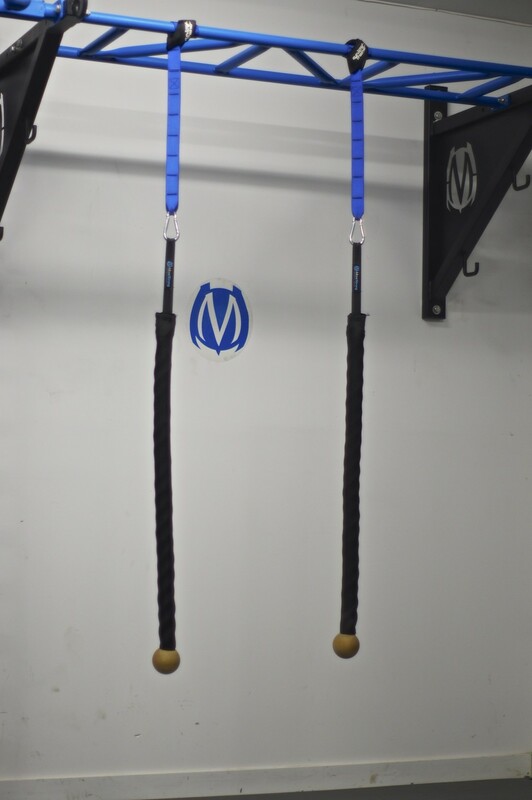 Elevate Trainer with Stall Bars: The Elevate Trainer makes a perfect training tool for the MoveStrong Stall Bars. Use the Elevate Trainer with the Stall Bars to help scalability, regressions, and progression bodyweight strength and flexibility exercises. The Stall Bar rungs allow users to leverage themselves in to more positions for even more variety and challenges in suspension exercise. Elevate Belt sold separately or as a pair offering in the Elevate Trainer Complete Kit. See the Elevate Trainer in action! Lateral Flexion for core and stability training performed with the MoveStrong Elevate Trainer. Suspension exercise allows foot placement to vary the difficulty of the exercises by simply adjusting the body angle. The Elevate belts provide support at waist or hips. The MoveStrong Stall bars add even more progressions to the exercise. Recline Rows for back and stability training performed with the MoveStrong Elevate Trainer. This suspension exercise allows foot placement to vary the difficulty of the exercises by simply adjusting the body angle. The MoveStrong Stall bars add even more progressions to the exercise.